With Internet getting faster these days, you need Gigabit Ethernet (1000Mbps) to support a speed more than 100Mbps. Older cables and older routers may not support up to 1000Mbps. You need to check the link speed to verify if your Ethernet cable can actually support up to 1000Mbps. It also help you to verify if your modem supplied by your ISP is having a Gigabit capable Ethernet port. Besides, you are also able to check the theoretical speed of your WiFi adapters to see how good your WiFi adapter is performing in your house. You can use it to find the perfect spot to place your WiFi adapter. 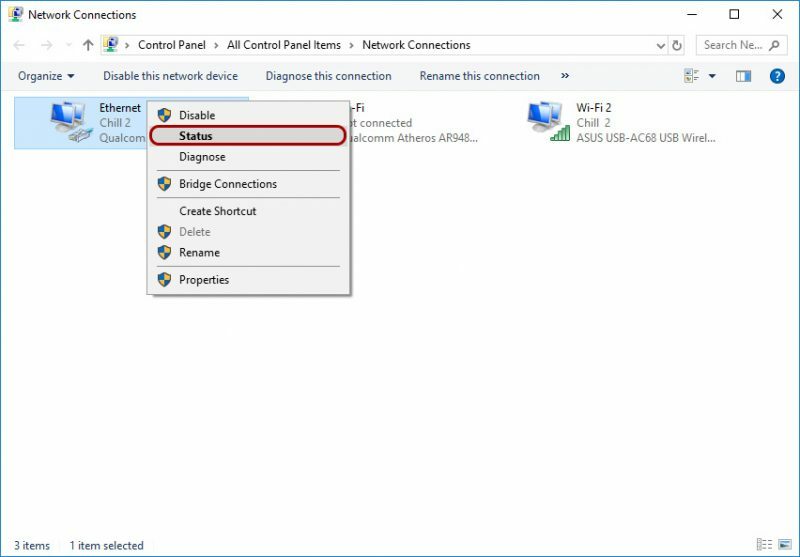 This article show you how you can check the theoretical link speed of your network adapters in Windows 10. 1. 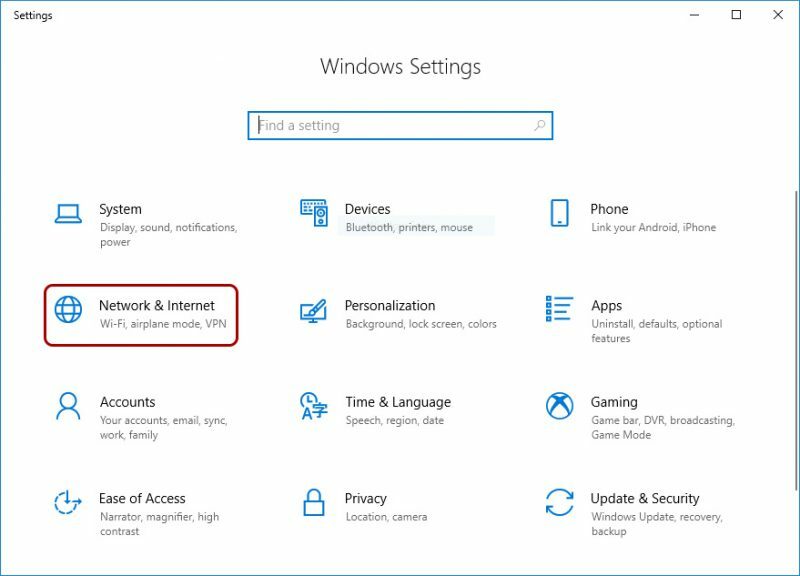 Open the settings app on Windows 10. You can click the gear Icon on the start menu. 2. Click the Network & Internet section. 3. Click the Change adapter options tab. 4. All your network adapters including WiFi or Ethernet are listed here. 5. 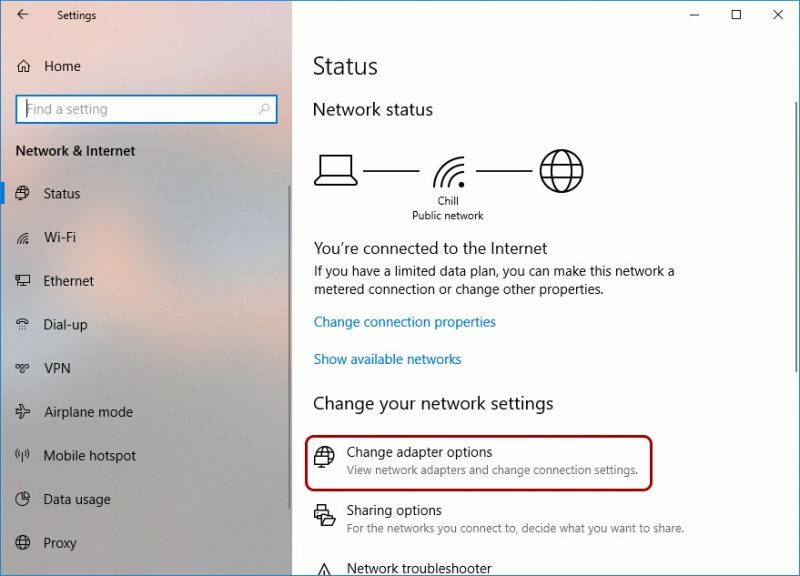 Right click your desired network adapter and click status. Over here, you can see what speed your computer is connected to the router or modem. It give you an idea whether your router or modem support Gigabit speed. Gigabit Ethernet is required to have a speed of more than 100Mbps. 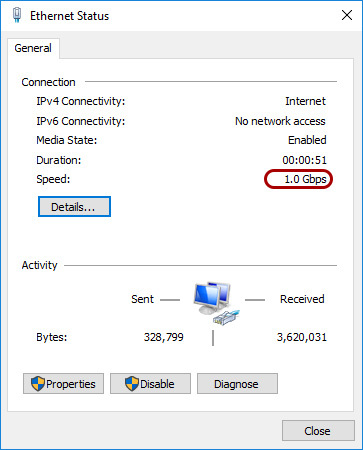 Gigabit speed is indicated by 1.0Gbps. 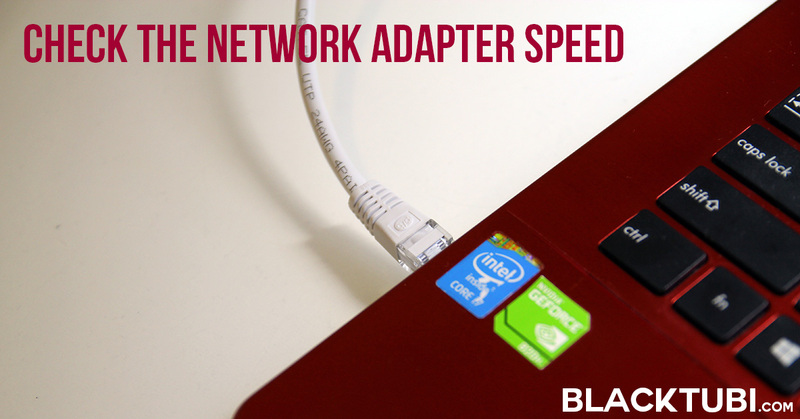 If your speed is listed at 100Mbps, your router or your Ethernet cable is limiting the speed. Try another cable. Please use CAT5E and above and old rusted Ethernet cables may not be able to reach Gigabit speed. You can also see the WiFi connectivity link speed over here. 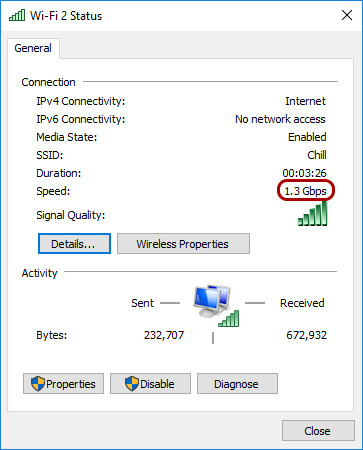 It give you an idea how good your WiFi adapter is performing and serve as a reference on what is the maximum speed your computer can reach over WiFi. 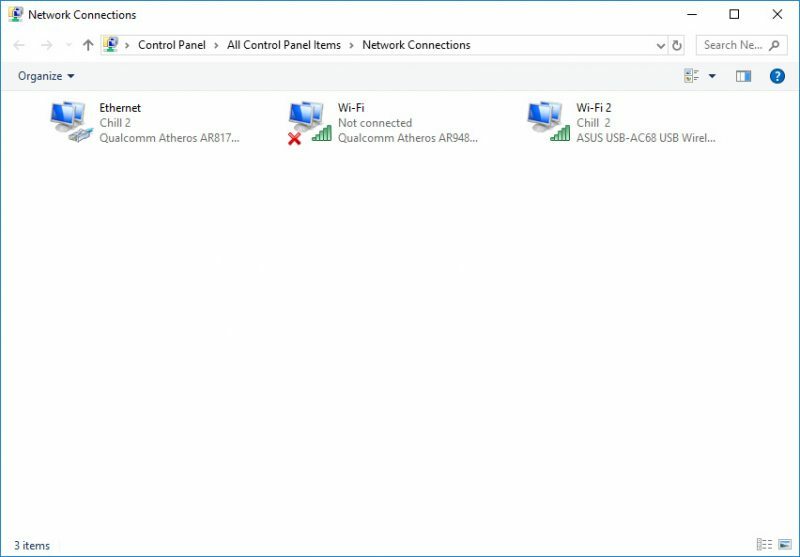 Over here my Asus USB-AC68 WiFi adapter can reach 1.3Gbps. However, do note that the speed listed here theoretical. Wireless is subjected to signal interference and degradation. Your actual WiFi connectivity link speed is typically 60-70% of your theoretical speed.